Dear Europe, Whenever I arrive in a city and am frantically trying to figure out how to use the metro machines or what side of the street to catch the bus on, I am always delighted when I discover that I just need my own two feet. So, I just want to say a big thank you to these 10 walkable cities because I appreciate you and the fact that you allow me to explore your beauty all on my own. I love getting lost on your cobblestone streets and happening upon a street performer singing opera or playing flamenco music on the guitar. I love that I don’t have to worry about spending money on transport in the most walkable cities in Europe or constantly worry about losing my metro pass or bus ticket. I hope to see all of you pedestrian friendly cities again soon and that our relationship continues to grow into the future. 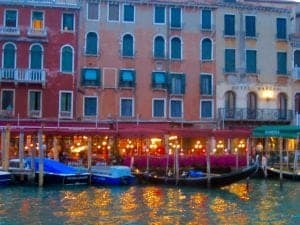 Probably the originator of the “getting lost” in Europe mentality, Venice is the ideal place to explore on foot. My personal favorite time of day is at dusk when the cruise ship crowds have left for the day and the majority of people are heading to dinner. The streets are quieter, the sun is setting, and the waters are calm. You never know what unique architectural treasure you will find around the next corner! 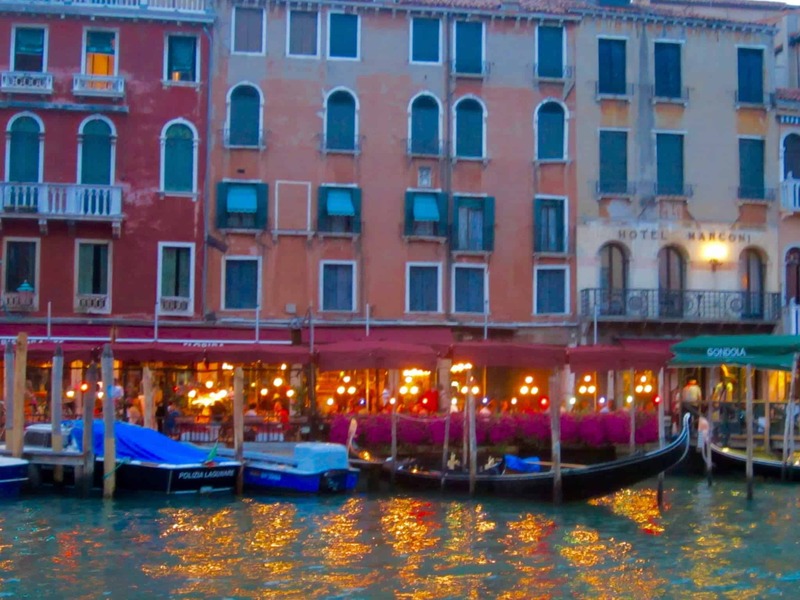 Of course, a gondola ride along the canals is a special treat; however, the true magic can be found in the streets along the canals. Grab some picnic food and wine and sit alongside the canal at night. You’ll do some people watching and may even meet new friends in one of the most walkable cities in the world. 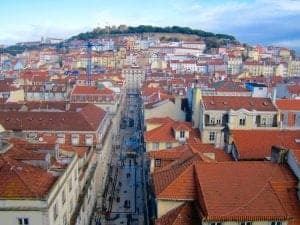 One of the main neighborhoods in Lisbon definitely fits the bill for one of the best walking cities in Europe because it is only accessible by foot! 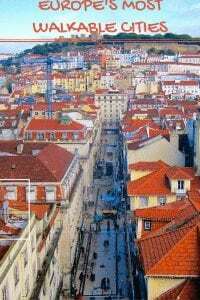 The Alfama area, the oldest district in Lisbon, was once a working-class fishing area as well as the birthplace of the fado, a form of music characterized by melancholy themes. Lately, the neighborhood has been reinvigorated with a bohemian vibe and bustling nightlife. 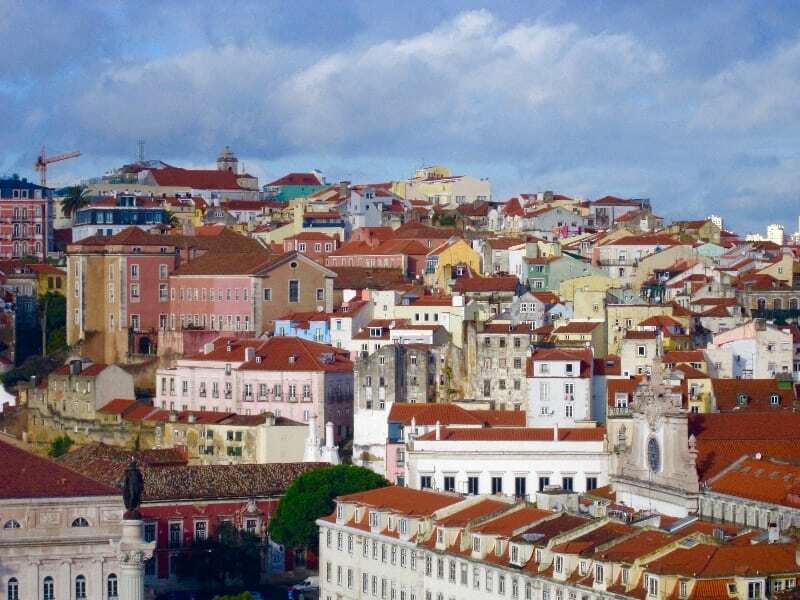 While it may be tempting to simply stay put in such a walkable area, make sure that you do take the train to Belem for the pastries and Sintra to explore the many palaces and castles. Don’t miss Quinta de Regaleira…it’s outstanding! 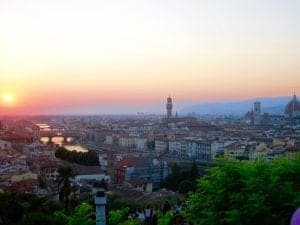 I had always imagined Florence to be a large city, but was pleasantly surprised to arrive and discover just how walkable Florence truly is. In fact, I would deem it to be one of the most pedestrian friendly cities in the world. I can’t quite describe why, perhaps it’s the architecture or just the idea of the Renaissance itself, but you instantly feel more intellectual as you roam the streets of Florence. Professional opera singers and musicians busk on the street while you go past. The Duomo, Uffizi, and the Ponte Vecchio are all just a short distance from each other, so grab a gelato (or three) and a prosciutto sandwich from All’ Antico Vinaio on the way to the sights and explore this culturally rich city. 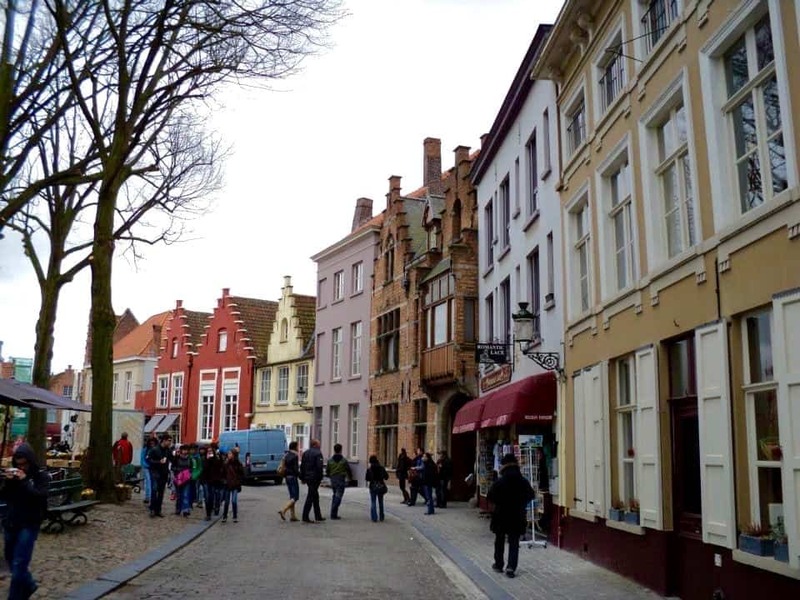 The true essence of a fairy tale town, Bruges is the perfect size to get around on foot. 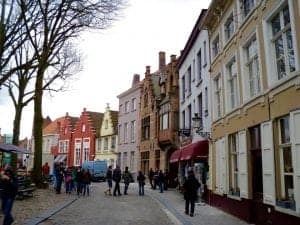 The picturesque streets are filled with delicious chocolate shops, frite stands, and waffle stores which can all be washed down later with a Belgian beer at a quaint local bar. Check out all of the foodie goodness Belgium has to offer. Depending on the time of year, it can be quite cold so be sure to bundle up should you be walking around the streets in wintertime! 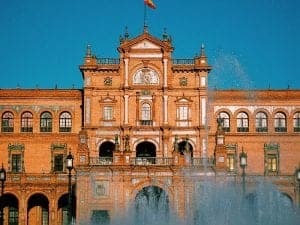 One of the most walkable cities in Spain, I quickly fell in love with Sevilla’s vibrancy and authenticity. Flamenco in Sevilla isn’t just a tourist trap, and you can have some true tapas experiences if you cross the river and enter the Triana neighborhood. The stunning Alcazar and Plaza de Espana make this Spanish city an absolute joy to visit. Make sure to try the classic Agua de Sevilla beverage, a drink unique to Sevilla. The most special time to visit this city is during the Spring for their Holy Week celebrations, Semana Santa, and the Spring Fair, Feria. Part of the reason that the city of Tallinn completely blew me away was because I had such little prior knowledge about Estonia. For example, did you know Tallinn has a very active startup scene? 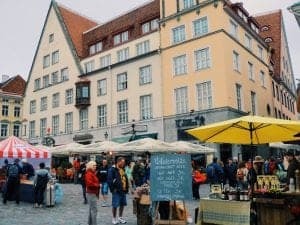 Tallinn is one of the best small cities in Europe, a stunning, medieval city that is easily walkable; in fact, I urge you to take a free walking tour of Tallinn so that you can learn more about the history of the city. Make sure you do take plenty of walking breaks to eat because the food is some of the best in Europe. If you are going on a Baltic Cruise through Scandinavia, I have a bunch of port tips and shore excursion ideas in this post. 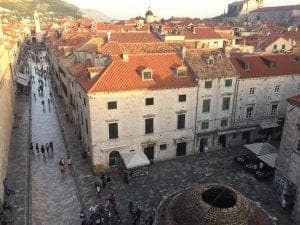 The old town of Dubrovnik is easily of the most walkable cities in Europe. 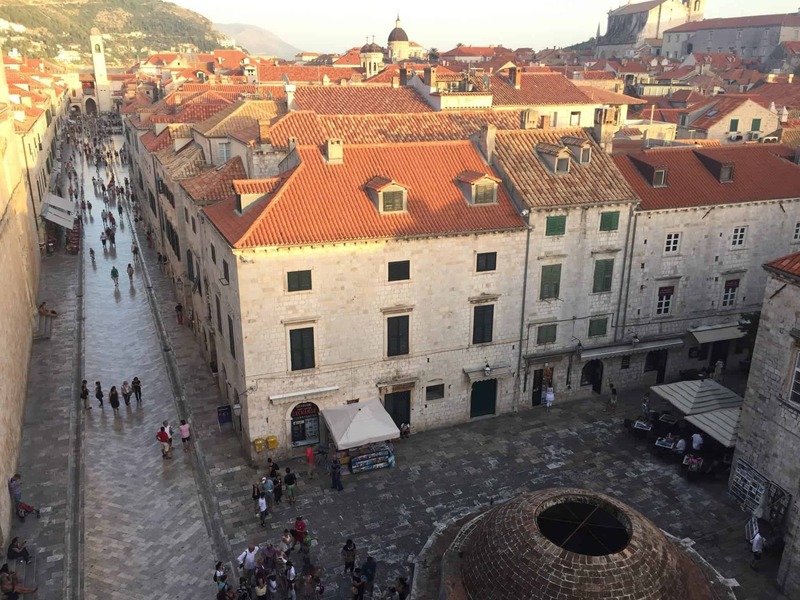 While walking the streets is a truly enjoyable experience, the best part of Dubrovnik is walking the surrounding walls and admiring the panoramic views of the Adriatic Sea and coastline. 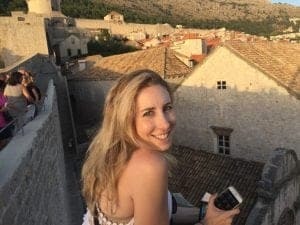 Having travelled to many places, I am not always affected by what I see anymore; however, walking the walls of Dubrovnik was one of those moments where I felt emotionally connected to my experience and I am extremely lucky and thankful to have done that. Check out my 10-day Croatia itinerary here. 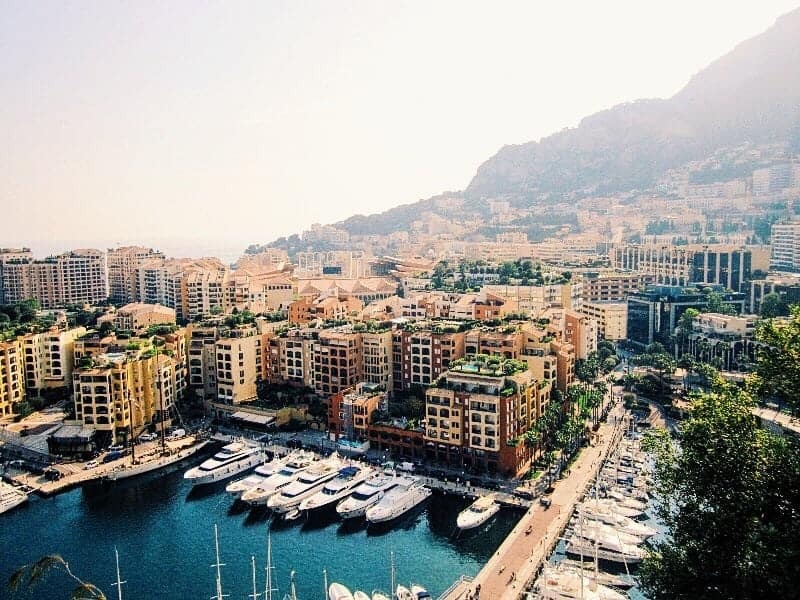 Wealth abounds in the Principality of Monaco which is situated right along the gorgeous French Riviera. Montecarlo is very walkable, but you can’t go there without enjoying some other means of transportation as well. 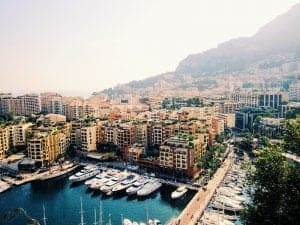 Along with the main attractions — the Monte Carlo Casino and the Palace of Monaco– you must take time to drool over the fancy cars driving by and admire the yachts along the Monte Carlo harbor. If you go in May for the Grand Prix, you will experience Monaco come to life with festivities and street parties. 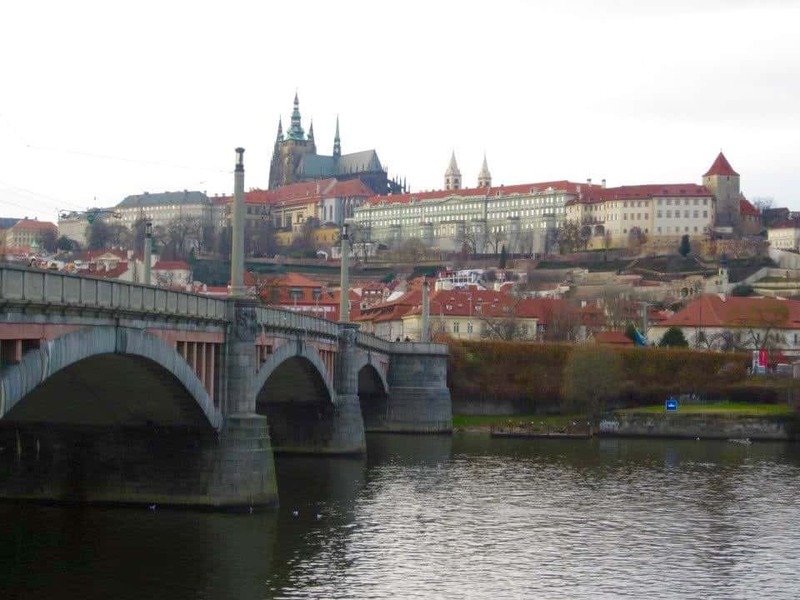 There is New Town, Old Town, and Lesser Town in Prague, but luckily the city is all quite walkable and of course, extraordinarily beautiful. 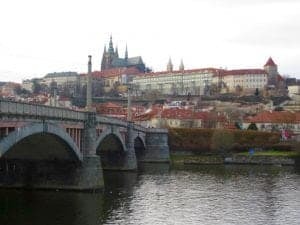 The main sightseeing areas are separated by the Vltava river with the Prague Castle in the Lesser Town area connected to Old and New Town by the idyllic Charles Bridge. Bring some good, comfortable walking shoes for those cobblestones while exploring Prague’s architectural gems. P.S. Did you know that the Czech Republic consumes more beer per capita than any other country in the world? I totally guessed Ireland when I learned this fun fact on a walking tour in Prague. 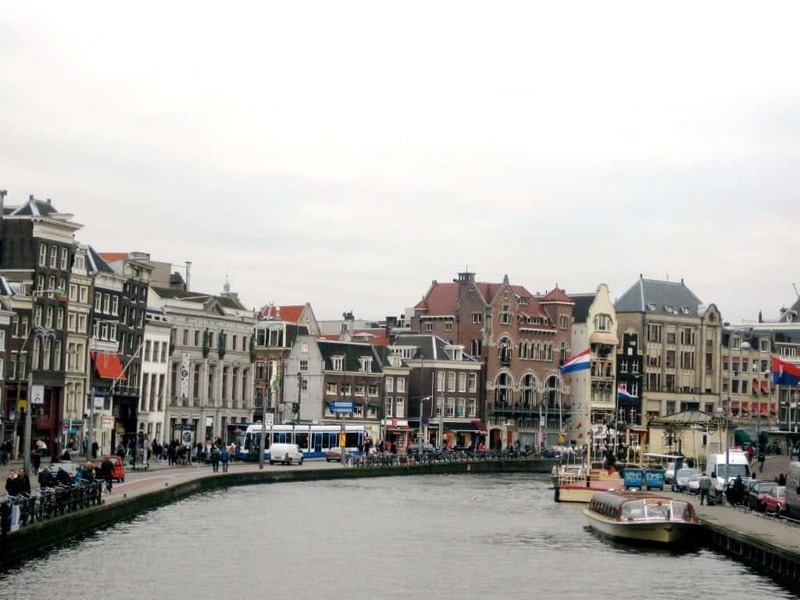 While Amsterdam is probably one of the largest cities on this list, I was surprised and quite happy to learn that Amsterdam is one of the very best walking cities in Europe. The beauty about Amsterdam though is that the city also excels in biking and boating and has very advanced systems for both methods of transport. So, for those that are bike challenged like myself, I was happy to know that I could walk alongside the canals and marvel at their beauty. You should also consider taking a canal ride! It is one of the best ways to see the city. I was quite surprised by Amsterdam’s charm as I had ignorantly believed it would be dirty due to their affinity for coffee shops and Red Light districts. Oh how wrong I was! 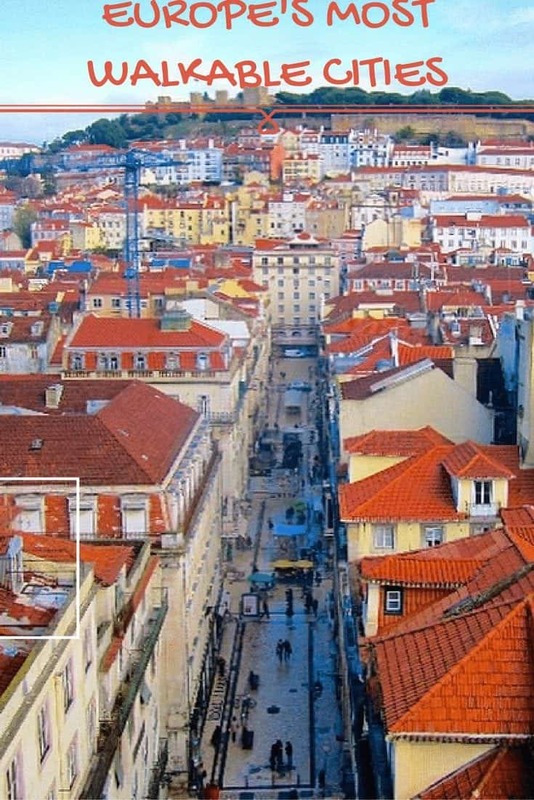 Can you name any other walkable cities in Europe? Or perhaps some of the best small towns in Europe to live? Please share in the comments below! Are you on Pinterest? 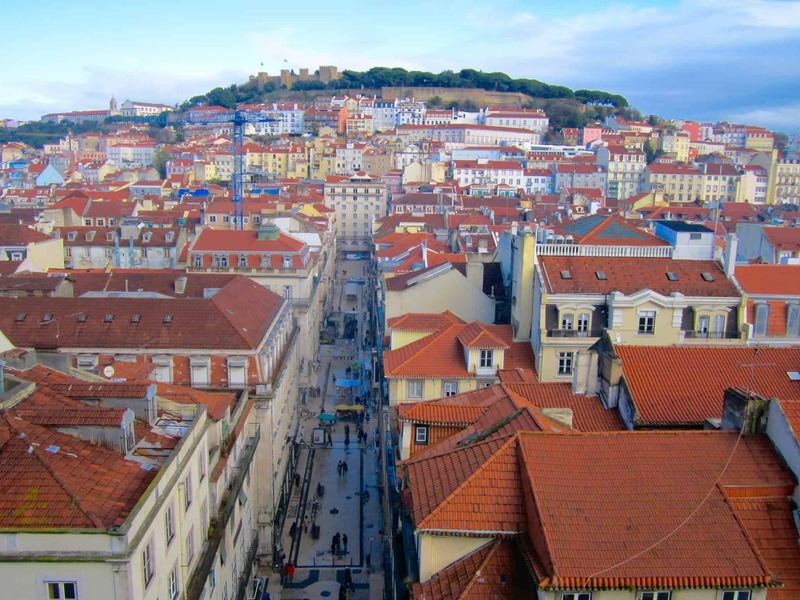 Pin these Walkable European Cities for later!